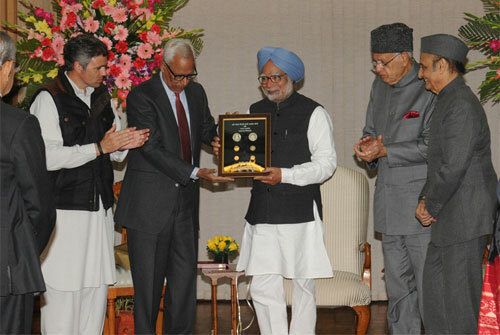 Honorable Prime Minister Dr. Manmohan Singh Released Two coins of Rs 5 and Rs 10 denomination on 31st January, 2012. Coins with the embossing of the form of goddess Vaishno Devi, were released by the Prime Minister. Goddess Vaishno Devi is believed to be the eldest deity among the six other goddesses whose shrines lie between the Yamuna and the Chenab rivers in north India.